Here is some of the best reporting on, and key moments from, the on-going public health crisis in Flint, Michigan. Editor's Note: This post has been updated with new material. 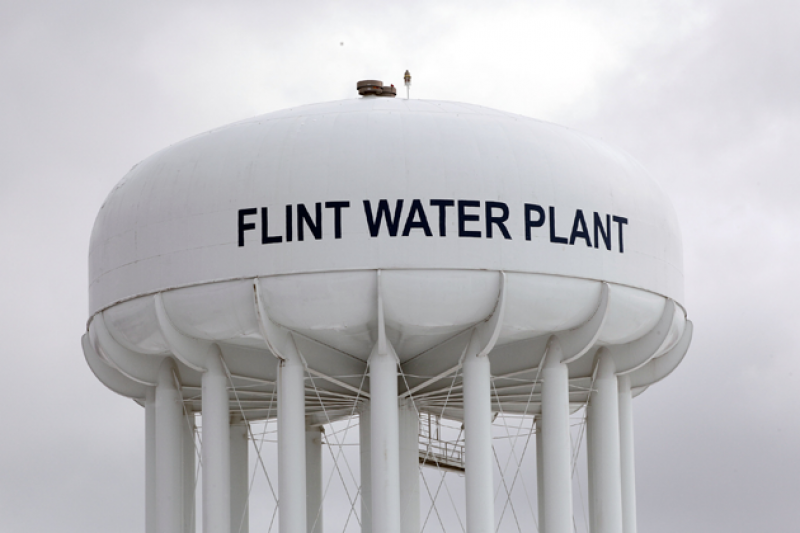 The outcry over the public health crisis in Flint, Michigan, has intensified in recent days, with President Obama promising $80 million in water infrastructure money and the head of the Environmental Protection Agency's Midwest region resigning. But the problem has been brewing for years. Here is some of the best reporting we've seen on the failures that led up to Flint's water crisis. Beginning in 2011, with Michigan's takeover of Flint's budget, this timeline is a helpful guide to how the crisis developed. More: Curt Guyette's reporting on the Flint Water Crisis, including the June 2015 report that leaked an April EPA memo on the state of Flint's water. Gov. Rick Snyder announced his plan to deal with Flint's water issue last October, but emails reveal the EPA warned officials about lead more than seven months earlier. The documents show that the EPA had found "actual evidence that the water is leaching contaminants from the biofilms." Corrosion controls could have prevented the water crisis in Flint, and chemical testing might have predicted their necessity, according to Marc Edwards – a Virginia Tech professor who led the Flint water study. How much would the corrosion controls have cost the city? One report said it would be $140 a day, or $50,000 a year. The EPA knew about Flint's lack of corrosion controls as early as April 2015, but when it came to making the findings public, former regional administrator Susan Hedman said her hands were tied. "The answer kept coming back from [state officials] that 'no, we are not going to make a decision until after we see more testing results'," Hedman told the Detroit News. Action could have been taken sooner in the Flint water crisis — if two water samples with high lead levels weren't disqualified. "The move changed the overall lead level results to acceptable from unacceptable," the Free Press reported. The EPA requires that cities test water for lead at "high-risk locations" when possible to ensure water is safe to drink. In the early months of 2015, Flint officials filed certified documents claiming they only tested tap water at homes "where residents were at the highest risk of lead poisoning." Those claims were false. During his State of the State address, Gov. Snyder promised to release all of his emails from the last two years regarding the Flint crisis. The emails, made public Wednesday, show state officials who at times were dismissive of the crisis, and others who turned complaints from residents into "a game of "political football." Documents reveal that, long before Gov. Snyder's acknowledgement of problems with Flint's drinking water last October, the state made arrangements for—and began supplying—clean water to state workers in Flint. The notice, sent last January, advised workers that "the coolers will arrive today and will be provided as long as the public water does not meet treatment standards." Adam Harris was the Assistant Social Editor.